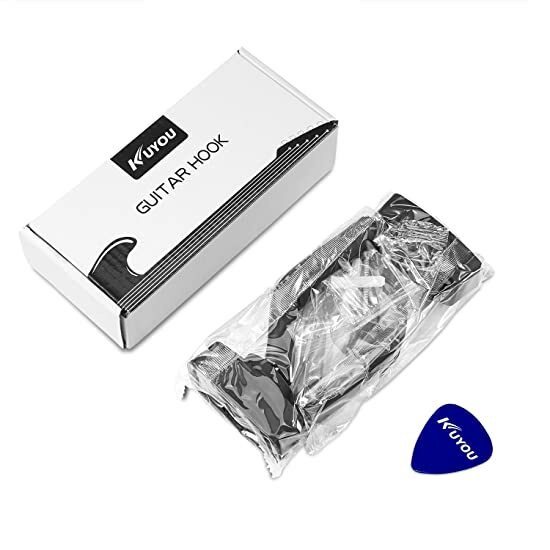 It has a soft sponge cover on the guitar hanger, and it will not imprint on your instrument. 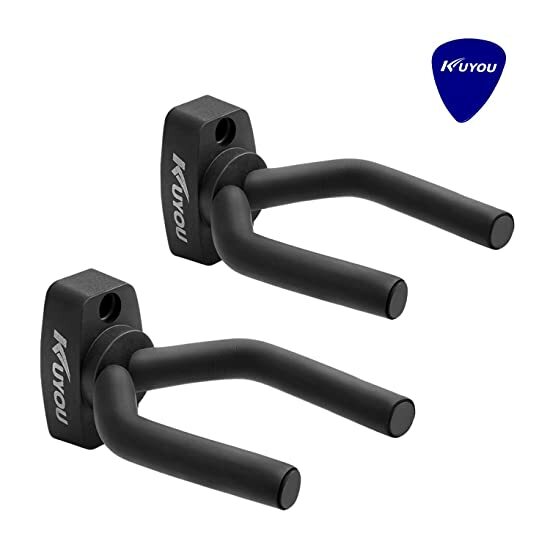 The flexible supporting arm can hug any neck part of the guitar. 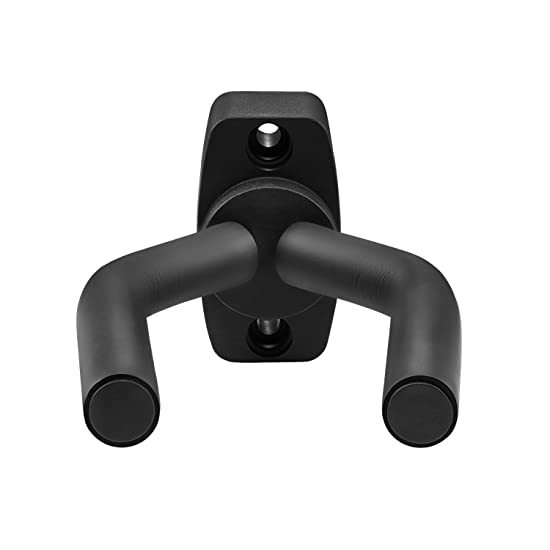 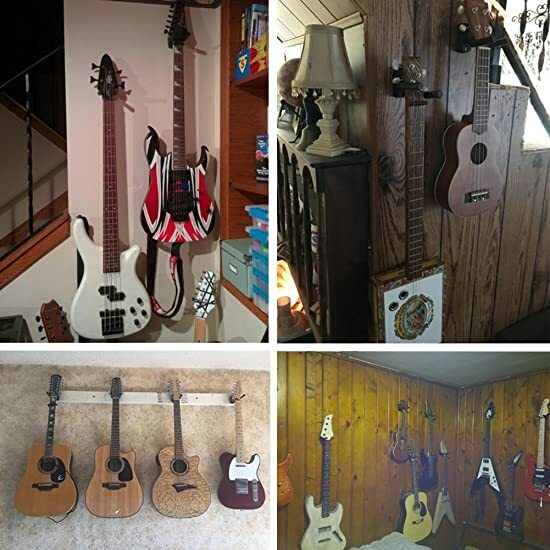 It will proudly display your guitars, banjos, basses, mandolins, ukulele and other stringed instruments while keeping them safe, out of the way from harm, and it works well on all guitars. 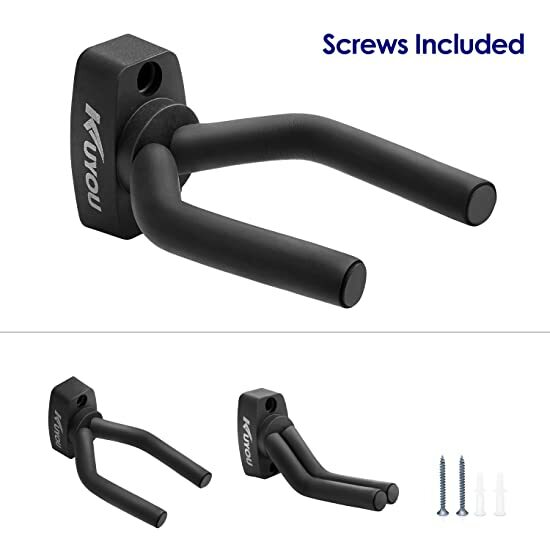 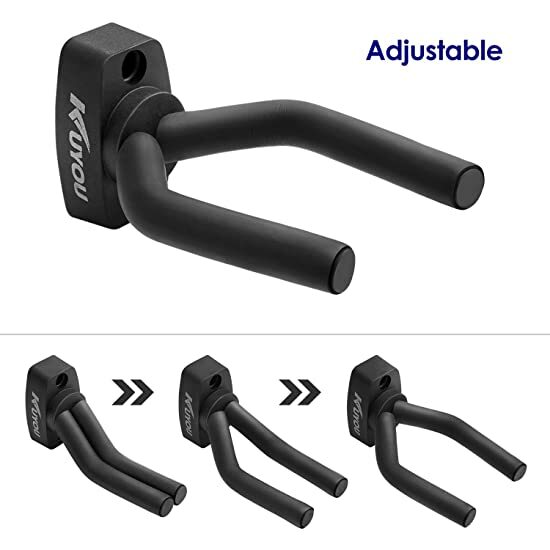 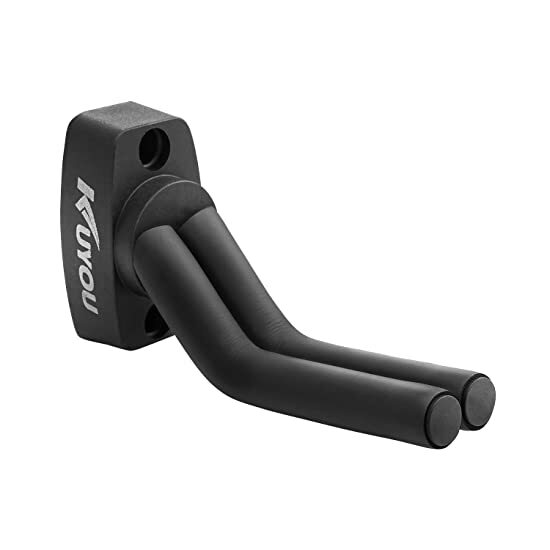 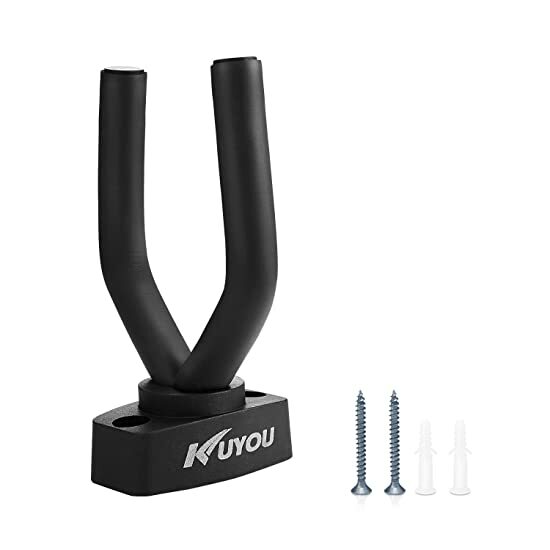 The steel hook is rated to support up to 60 pounds. 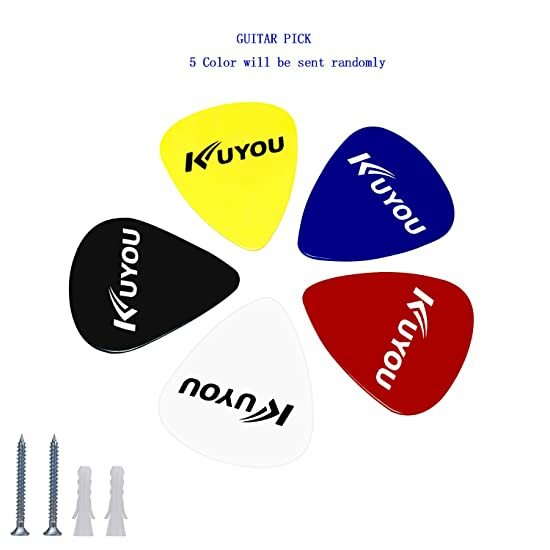 Screws and plastic dry-wall mount included and one Picks.